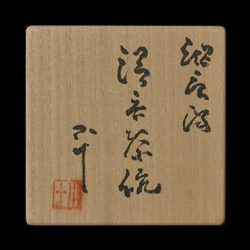 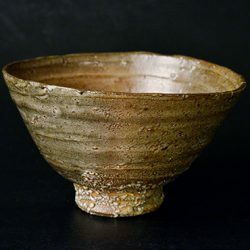 Koju Nishioka excavated and researched on numerous old kilns and become the first person to rediscover the way of making Madara Karatsu, Kairagi, and E-madara Karatsu, which technique had been forgotten for a long time by Japanese potters. 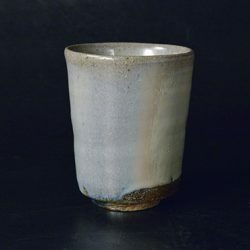 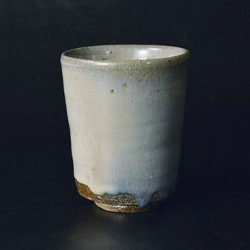 The madara karatsu tea cup has a beautiful gradation from gray to Biwa-cha, dull orange color, and to yellowish white, which makes vivid color change at one side. 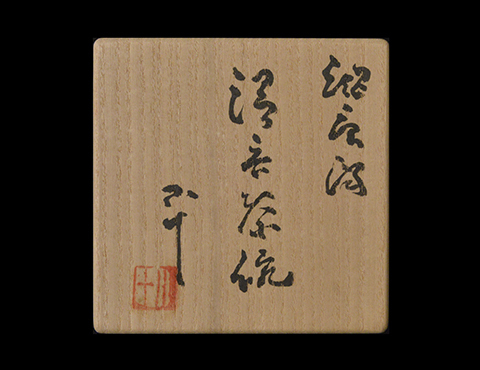 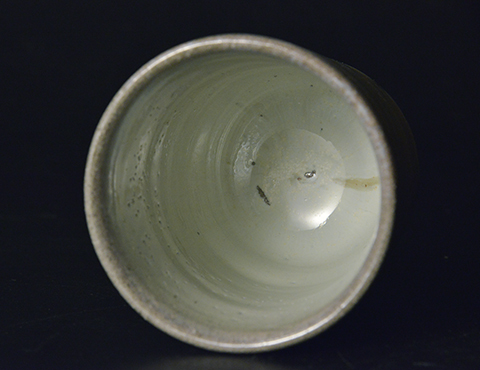 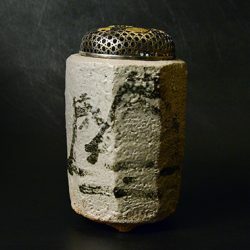 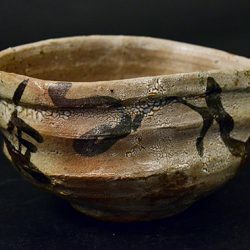 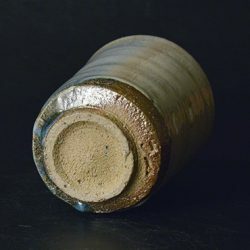 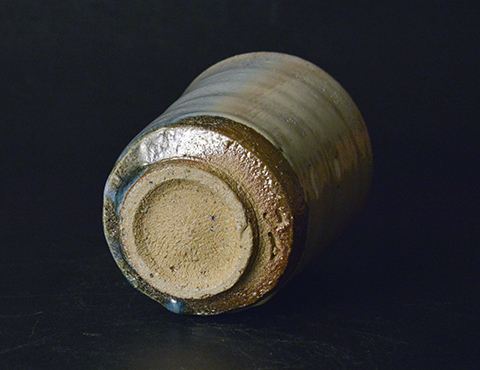 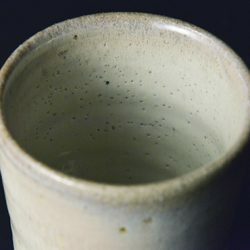 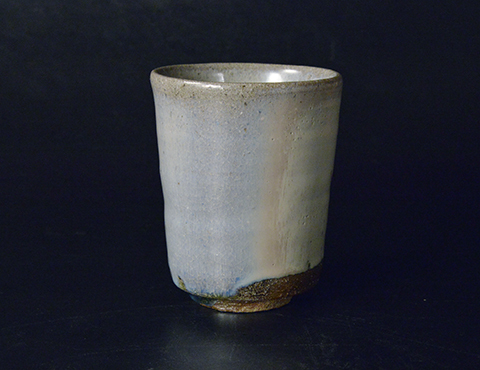 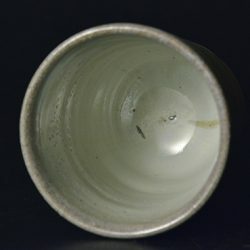 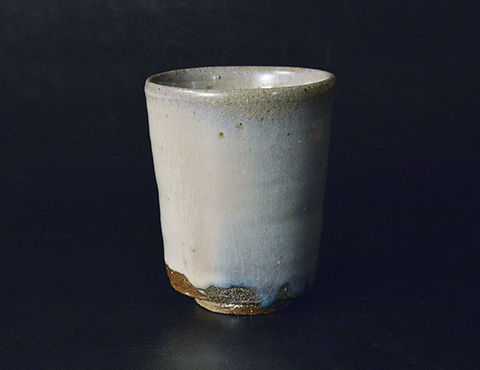 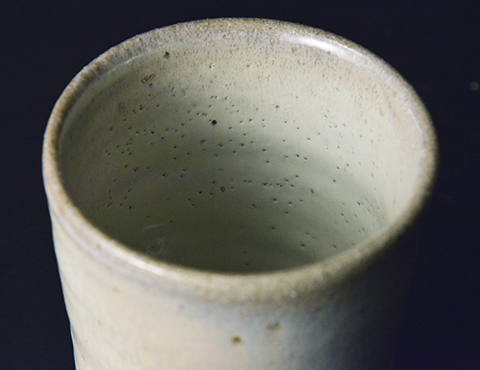 The color of burned clay and dropping glaze at the bottom is also the high light of the item.